Amek & Crooked Cinema are uniting efforts to present the female take on electronic music through "A Life In Waves", a beautiful documentary about the life and work of synth legend Suzanne Ciani. 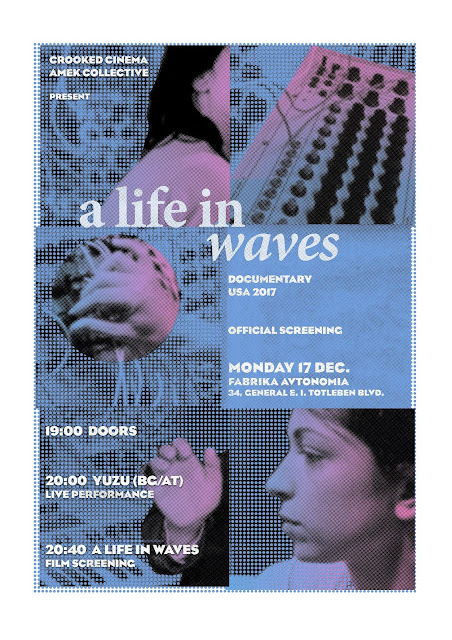 We have prepared quite a few special things among which an exclusive performance by Sofia-born but Vienna-based sound artist Yuzu (Milena Georgieva). Full program of the event find in the link below. See you at Фабрика Автономия. The record sound pretty amazing. Would love to listen to it.